Handmade books by Katie Gonzalez website home, featuring handbound books and bookbinding classes in Nashville, Tennessee. Hello! I’m Katie Gonzalez, a bookbinder creating meaningful handmade books every day in Nashville, Tennessee. When my books leave my studio, their journey has just begun. I've folded the pages, crafted the covers, and stitched the binding. They are already works of art, but not yet complete. My leather journals, sketchbooks, and photo albums are meant to be filled — with congratulatory notes from wedding guests, records of a baby's first words, or photos from a cross-country road trip. I founded linenlaid&felt in 2010 to turn my passion for book arts, papermaking, and paper marbling into a full-time profession. This includes teaching bookbinding classes in Nashville. I show students how to make books and encourage them to fill their creations in ways to enrich daily life. You can see (and share) great examples of how books are put to use by browsing the hashtag #myusedbook. The covers of these handbound journals feature intricate marbled patterns that I created with traditional methods. The marbled papers include vibrant colors and metallic accents. The books were stitched using multiple needles at once to create the two-color woven pattern of the ancient Coptic Binding. Visit my Etsy shop to purchase one! 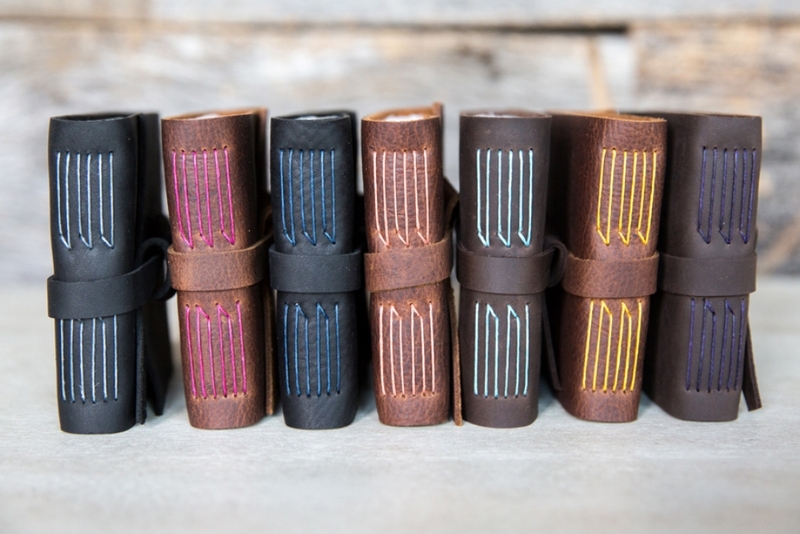 My leather photo albums are rugged, durable, and without doubt my most popular books. These leather albums are available in two sizes, and their square pages are perfect for displaying Instagram and Polaroid prints. The larger albums also accommodate standard 4x6 prints. Visit my Etsy shop to order an album for your best shots.